Prominent & Leading Manufacturer from Vadodara, we offer ar pipe kote coal tar tape. 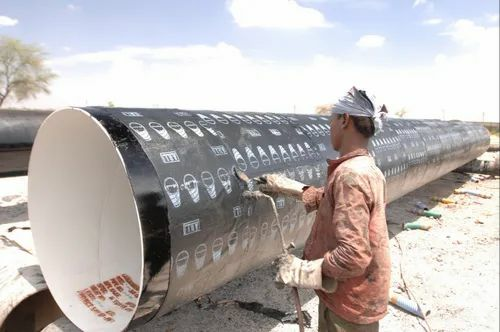 AR Pipe Kote Coal Tar Tape –is a hot applied coal tar tape for ABOVE & BELOW GROUND pipelines, it is manufactured with special plasticized coal tar enamel, sandwiching tough fiber glass fabric with thermo HMHDPE film on both side, which provides high anti corrosion protection to the pipe lines. It confirms to AWWA-C-203, BS 4164 & IS 10221/IS15337 standards. Looking for “ANTI CORROSIVE TAPES FOR UG PIPELINES”?